There’s no question that the world of search engine optimization (SEO) has changed drastically since the advent of Google and its original competitors like Yahoo!, Ask Jeeves, and AltaVista back in the 1990s. SEO marketing strategies have adapted to modern user trends, Google’s algorithm updates, and today’s technology. Old school SEO relied on agencies and websites gaming search engines to pull in customers and become first in the rankings. Even though many outdated SEO techniques no longer work, they’re still common advice given to new content creators and SEO specialists. These outdated SEO strategies and content writing can penalize your sites, as Google recognizes and demotes websites with low-quality or irrelevant content as of its Panda and Penguin updates. Learn how to avoid the black-hat methods of old-school SEO and use updated SEO techniques to target your customers. How Did Old School SEO Work? Keyword Stuffing– Jam keywords everyone you can—in the content, into tags, into locations. The more keywords you could fit onto a page, the higher it would rank. Keyword Variants– If your primary keyword target was “engagement ring,” you’d use dozens of variations on that—like “diamond engagement ring,” “engagement rings,” “engagement rings jewelry,” etc. It would go on endlessly to attempt to hit any keyword match possible. Without the power of broad match keywords, exact matches were a necessity. Cloaking and Writing for Engines– Back in the early days of SEO, cloaking was common. You’d develop a set of SEO keywords for the search engines and show the users something totally different on the page. Sometimes this created instances where the keywords didn’t match the content at all. SEO strategy evolved over the 2000s, as keyword stuffing become less common, domain names were no longer keyword intensive, and links become the most important part of SEO content writing. 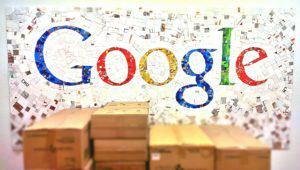 Google’s algorithms grew more sophisticated, and the search engine market started to shrink. By the end of the decade, only Google and Microsoft were real players in the market—and SEO specialists were developing their techniques to suit their algorithms. How Does SEO Work in 2018? So how has writing for SEO changed in two decades? Should content writing even focus on SEO and keywords anymore? The goal today is to solve the searcher’s query. Content should answer questions people are asking, helping them accomplish their task. That can be purchasing a product, learning how to complete a DIY task, or educating themselves about a new topic. Content that performs these goals will be most successful. Additionally, some SEO strategies have gotten simpler, and some more complex in response to Google’s changes in its Panda and Penguin updates. 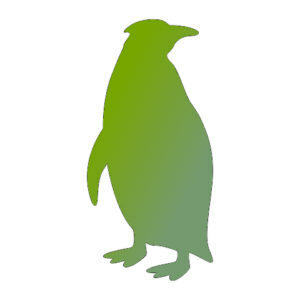 Panda can detect lower quality, and thin or plagiarized content and Penguin can easily detect link and tag manipulation. Algorithmic updates affect site rankings and SEO content writing, but good writing is more likely to rank highly. Intent Matching– Inserting every single keyword variant is no longer necessary. Instead, think about the searcher’s intent. Write a piece of content and use keywords that factor that intent in. Using the engagement ring example, a single page about how to purchase the perfect engagement ring would suffice, incorporating several relevant keyword phrases. The Tags that Matter– Whereas all tags used to be stuffed with keywords, only a few really matter anymore. Those are the title element and body content. These are the areas in which you need to use your keywords. It’s still valuable to use keywords in other places, like the URL field, meta description, and image alt attributes, but they’re not necessary. User Experience Reigns Supreme– With Google Analytics to view engagement data, you can see how users interact with your content. That means that the experience of reading content and engaging with your website is more important than ever before and contributes to Google’s rankings. High-quality writing that your users interact with provides results. When developing content in 2018, create a workflow that incorporates SEO strategy for the modern age. Follow some basic steps, and you’ll be on your way to crafting first-class content that your users want to read. If you’re still employing old school or black hat SEO tactics at your company, Leverage Marketing can help you start employing new techniques. Our content marketing team knows how to write for SEO and connect with your audience. Great read, Trying to be a good content writer myself this article helped me spot the difference between the old and new SEO strategy especially with the help of the table, how much easier it has become now. The basic steps mentioned to crafting first class content makes it easier to form the frame work of a quality SEO content.